Wrinkle Smoothing Ireland's IN-HOUSE, AWARD WINNING PRACTITIONER, DR DAVID BUCHANAN, HAS CARRIED OUT THOUSANDS OF NON-SURGICAL TREATMENTS OVER THE LAST 11 YEARS. To book your free consultation appointment with Wrinkle Smoothing Ireland, please call our confidential telephone number on 046 9021203. 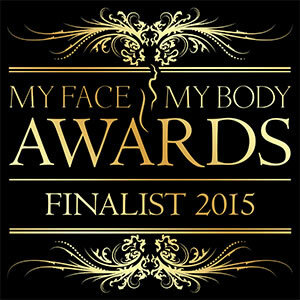 - Fully insured and highly qualified award winning healthcare professional, reassuring you that your face is in safe and trusted hands. - Many non-surgical treatments have been carried out by Dr. Buchanan to date, who has worked in the facial aesthetics industry for the last 8 years, offering you peace of mind that your practitioner knows exactly what he is doing. Unfortunately, doctors and dentists can provide these treatments after having as little as one day's training! Here at Wrinkle Smoothing Ireland, we have over 8 years experience, and a practitioner who has performed thousands of treatments and in addition has taught both doctors and dentists injection techniques for these treatments. - Our practitioner obtains on-going training to ensure you receive the highest quality treatments and methods, as recommended by the product suppliers. We specialise in evidence-based clinical treatments with proven results, and only use premium brands. Unlike many beauty salons and hair dressers, we also carry out these treatments in a safe, clinical environment ensuring that the highest standards of cross infection and patient safety is maintained. - Dr. Buchanan will ensure that you receive the highest quality of care tailored to your needs and desires. We have our prices structured at very competitive levels as we believe in forming long- term relationships with our clients, and we do not see our treatments as one off events. In fact we charge the same prices for our treatments, as Dr. Buchanan offers at his cosmetic clinic in Belfast, meaning that you can avail of the comparatively cheaper Northern Ireland prices! - Consultations and treatment sessions are by appointment only. Evening appointments and Saturdays are available. Often clinics and practices will have injectors that visit their clinic once or twice per month to offer these treatments, meaning that the appointment times are there to suit their own clinic structure and not your needs. At Wrinkle Smoothing Ireland, Dr. Buchanan can provide these treatments on days and times that suit you, and you can rest assured that he is just a phone call away if you have any queries afterwards. - Dr. Buchanan will carry out the initial consultation, select the appropriate product and dose, and perform the desired treatment, and carry out any necessary aftercare. - All of our staff are from Ireland which should provide you with reassurance, as sometimes large cosmetic clinics in Dublin and Belfast will fly in their staff from abroad for specific treatment days, meaning that you have difficulty accessing the clinic staff, if you have any problems or concerns after treatment. - We offer a professional, unbiased no obligation FREE consultation and will provide you with all the information you require to make an informed decision. - Our location means that access could not be easier, being located just off Trimgate Street in Navan. Group bookings can be made where you can avail of treatment discounts. Please contact us to discuss your requirements. - We reward our returning clients with discounted treatments through a loyalty programme. 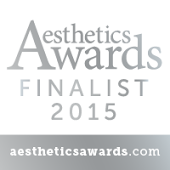 This is because we tremendously value your custom, and reward that with further discounted treatment prices. - Any personal information you provide to us including your name, address, telephone number and e-mail address will not be disclosed to any entities or individuals outside of Wrinkle Smoothing Ireland. Wrinkle Smoothing Ireland is a discreet location to have these treatments carried out as, as far as your friends and family are concerned, you have just attended us for your 6 monthly dental check-up! - We are one of the few clinics in Ireland to publicly display our prices. This is because we believe in being up front with our fees, as we know that we are charging fair and very competitive prices for the treatments, our experience and level of service provided. We have also displayed a price comparison , which compares our own fees with those of different cosmetic clinics in Dublin and Belfast.